President Donald Trump addresses the U.S. Naval Academy graduating class on Friday, May 25, 2018, in Annapolis, Maryland. President Donald Trump gave the commencement speech Friday for the 2018 graduates of the United States Naval Academy on Friday, telling them to dream big and reflecting on America's place in the world under his presidency. A day earlier, Trump highlighted American military preparedness as he canceled a planned summit with North Korean leader Kim Jong Un. At the commencement speech in Annapolis Friday, he said there can be no losing in a fight, should the U.S. get into one. "If a fight must come, there is no other alternative: victory, winning. Beautiful words, but that's what it's all about," Trump said. 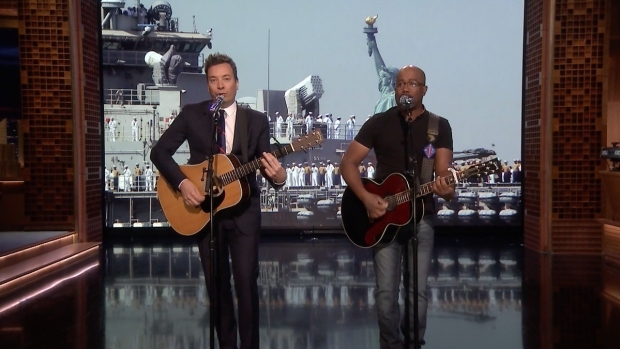 Darius Rucker and Jimmy Fallon perform "Only Wanna Thank the Troops," a parody of Hootie & the Blowfish's "Only Wanna Be with You," for the all-military Fleet Week audience at "The Tonight Show." 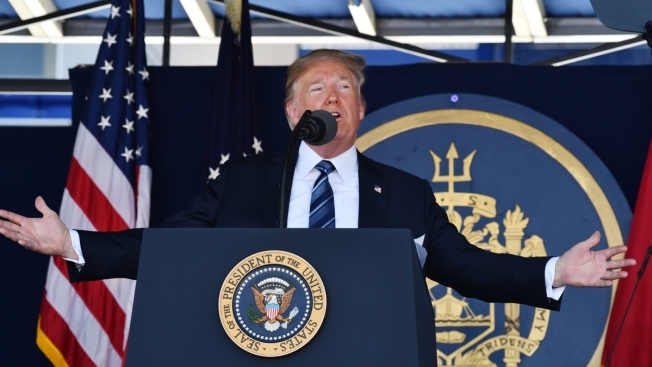 Trump also highlighted his efforts to boost federal defense spending and bolster the Navy — "we have begun the great rebuilding of the U.S. military" — in his speech to the 1,042 newly commissioned ensigns and second lieutenants. He said he would stay and shake the hand of each one of the graduates, turning down the option of not doing so. "We know you will make us proud, we know that glory will be yours because you are winners, you are warriors, you are fighters, you are champions, and you will lead us only to victory," Trump said in closing out his remarks. It was Trump's first time speaking to the academy's graduating class. Last year, Trump addressed the Coast Guard Academy.